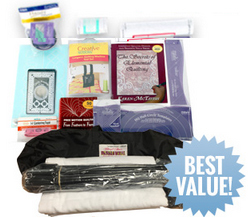 The Dingo is a treasure chest of storage. Like a Swiss Army knife it opens up to reveal all sorts of nooks for storage and just when you think you have seen all this storage unit has to offer it surprises you by revealing another function! 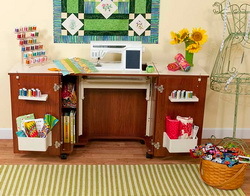 The 9 drawers run 20" wide x 15 1/4" length with a depth of 3 1/2" to 7 1/4". 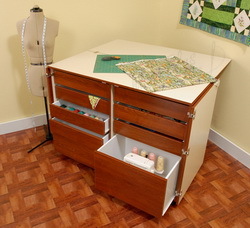 The one bottom drawer is 20" w x 15-1/4" l x 12 3/4" d large enough to hold a small serger. 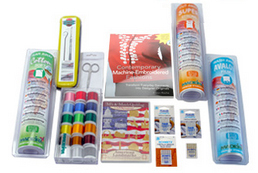 Safely conceal and secure all your sewing notions, fabric and equipment by closing both doors and turning the key to lock them shut. 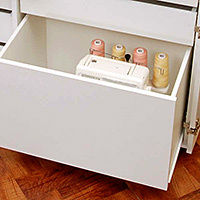 As an added option the top of the cabinet folds over on two leg supports creating a stable and spacious cutting surface! 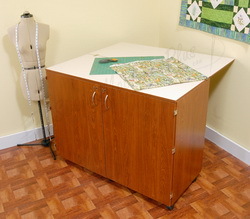 Place a 46" x 40" mat on the top and cut your fabric at ease. 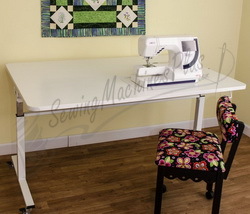 You can add on your Dingo Cutting Mat with the drop down menu above. 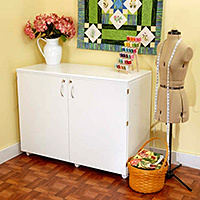 Your Dingo storage cabinet has a durable design with composite construction and melamine laminate. 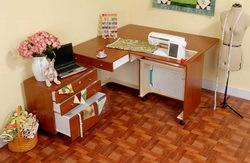 Create a matching set in your sewing room, by adding the Dingo to any Kangaroo Kabinet! The Dingo is made of the same material Kangaroo Kabinets are made of, so it will match any existing Kangaroo Kabinet you have. You'll find plenty of storage with nine drawers for all your sewing notions. 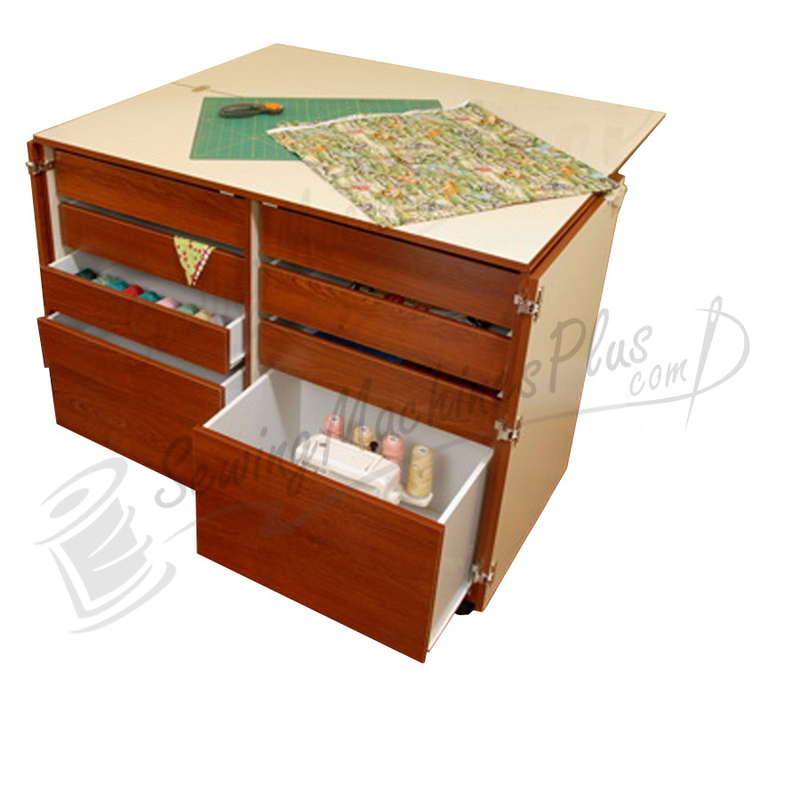 Drawers range in size from 20" W x 15-1/4" D x 3-1/2" to 7-1/4" H. The bottom drawer is large enough to hold a serger or small sewing machine with a height measurement of 12-3/4". 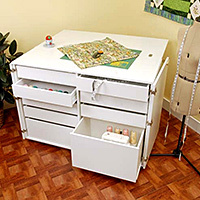 Drawers stops prevent Dingo's drawers from pulling out too far, but each drawer will glide effortlessly on slides allowing you to reach hard to find items in the back. 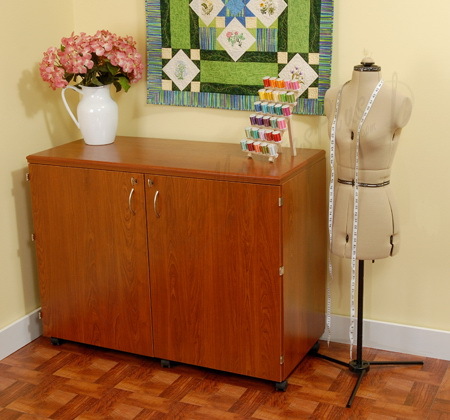 The Dingo is more than a storage unit, flip the hinged top over onto its two supports legs in the back to create 46" x 40"
Adopt one of our Dingos today! 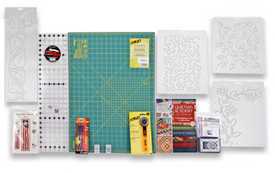 Assembly is a snap! 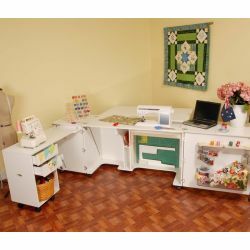 Requires a standard screwdriver, adjustable wrench and hammer/mallet. 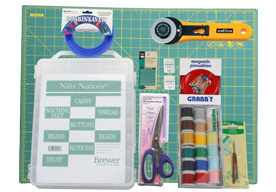 Just click on the Videos Tab above for an easy to follow assembly video. 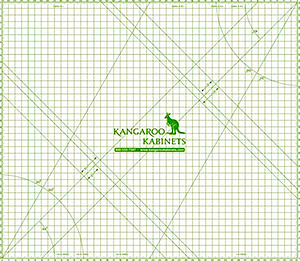 Kangaroo Kabinets - Dingo - Teak (K7905)!